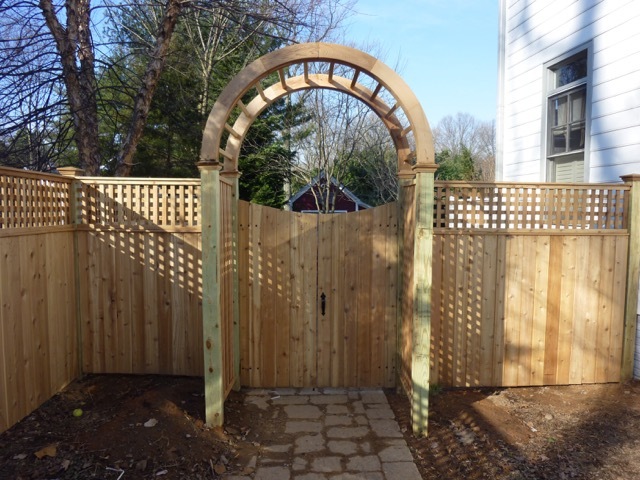 EVERGREEN Fence & Deck proudly offers a wide selection of fence and gate styles and features to meet the needs and budget of homeowners throughout Montgomery County and Howard County, MD. 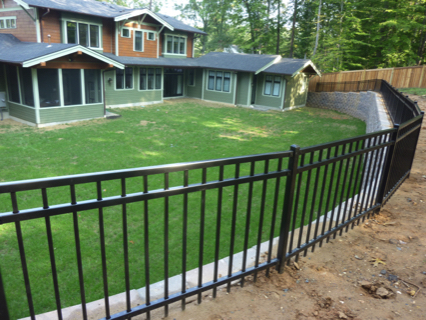 Browse our fence gallery of recent projects where you will find completed fences and gates in wood, aluminum or vinyl, for privacy, pool safety, animal or garden protection, yard or equipment enclosure to create your fencing solution. EVERGREEN Fence & Deck in Brookeville, Maryland, is a fence / gate contractor and builder with an outstanding 20-year reputation for quality and customer service in all of Montgomery County, MD, Howard County, MD and surrounding areas including: Olney, Columbia, Clarksville, Catonsville, Damascus, Beltsville, Darnestown, Chevy Chase, Clarksville, Ellicott City, Gaithersburg, Germantown,Glenwood, Rockville, Bethesda, Jessup, Kensington, Laurel, Mount Airy, New Market, Potomac, Silver Spring, Wheaton, and Woodbine. 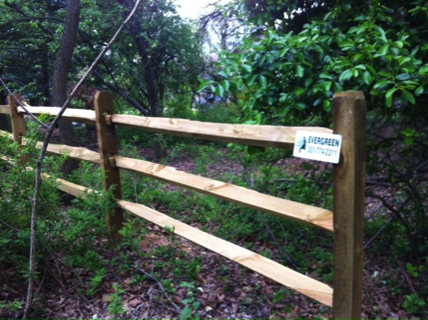 Call on us for prompt, professional fence and gate contracting services for your home or business. As a local, small company, our focus is on the details and the quality in everything we do from fences to decks and porches. Our company owner is present on every job. When working for you, we establish a rapport to make sure that everything is taken care of. To ensure your total satisfaction, we follow through after the job has been completed.